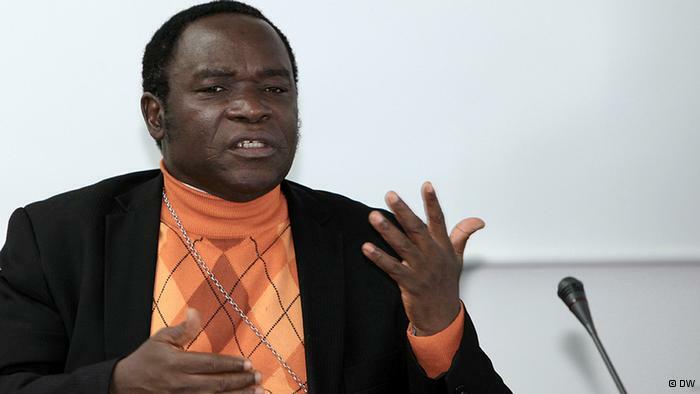 The Convener, National Peace Committee, NPC, Bishop Matthew Hassan Kukah has refuted claims in some quarters that he was in Abeokuta to endorse the People’s Democratic Party candidate, Atiku Abubakar. “Understandably, the pictures of the four of us (President Obasanjo, Alhaji Abubakar, Shaikh Gumi and I) literally lit up the social media and elicited divergent reactions from the general public. Although over 99% of the reactions that have come to me have been largely those of commendation, with people focusing, rightly, on the reconciliation, there have been others whose focus has been on an isolated development that had absolutely nothing to do with what I had in mind all these years, namely, the endorsement”. “I am a strong believer in a peaceful and united Nigeria, ideals for which I have striven and served my entire adult life as a thinker and a priest. My instincts for reconciliation and peace were sharpened during my involvement and experience with the Oputa Panel. When the Generals refused to respond to the invitation of Oputa Panel, I personally undertook to visit both General Babangida and Buhari (he was not at home) at a time that today’s latter day Buharists were asking the Panel to compel them to come or risk being blacked out of national life”, Kukah stated. He added that his focus all along had been with President Obasanjo. “Although trying to reconcile President Obasanjo and Alhaji Atiku Abubakar was something I had been working on intermittently in the last few years, nothing could have prepared me for the way things finally shaped up. My focus all along had been with President Obasanjo and I had never brought Alhaji Abubakar into what I was doing. Quite fortuitously, a chance meeting changed the tide in favour of reconciliation”. He said he was however eternally grateful to God that the reconciliation finally happened.